Frequently when asked why I quilt it’s quickly followed by why would any sane person take perfectly good pieces of fabric, cut them up and stitch them back together? To answer the 1st you need to know where I was when I found quilting. Let’s take a walk down memory lane. The year is 1997. My husband and I have been happily married for 14 years and are blessed with 2 children, a son (13) and daughter (9). We moved to a rural area to purchase our 1st home. I had always wanted to be a stay at home Mom but with the cost of living it just wasn’t possible or so we thought until we moved to our new community. There was a big need for quality childcare as the area was experiencing a lot of growth. The daycare provider that was watching our kids suggested I investigate opening my own daycare once our home was finished being built so that I could stay home while still contributing to the family financially. My hubby and I discussed it and after construction was finished we completed the state in home licensing requirements allowing us to open a small daycare in fall of 1994. A day with our son, daughter and 4 daycare kids doing the day to day things that go along with raising children. Wiping up messy faces, cleaning of ever variety, feeding meals and snacks, wiping noses, kissing boo-boo’s, playing with, refereeing, hugging and loving on 6 kids. On top of that I’m homeschooling our kids. Between the daycare and homeschooling I was very busy. Crazy might have been an accurate adjective for me during that time in my life. I had little time for myself. My world revolved around raising our kids and caring for the daycare kids. I was in search of something I could do that was just for me. I needed an outlet. My husband was running his own business and rarely made it home before 10pm so that “me” time activity needed to be something I could do at home after the daycare kids were gone or napping, or our own kids had gone to bed. I didn’t realize it at the time, but I wanted to be creative. To be honest it wasn’t my idea. 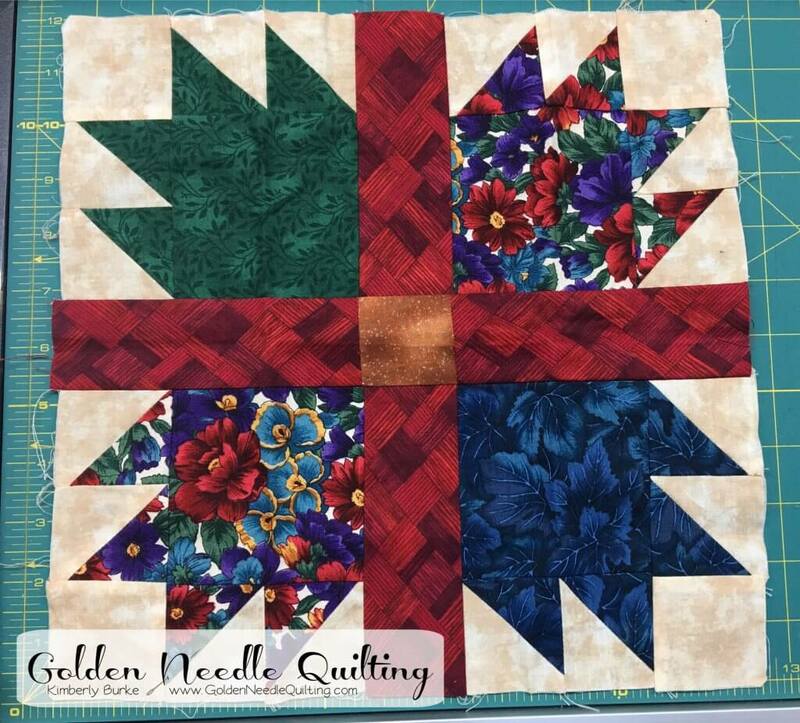 One of my church friends, Lisa, invited me to a quilt class at our local Ben Franklin Crafts and going to the class meant that I had the opportunity to get out of the house…alone! Never in my wildest dreams did I think it would turn into anything. I was interested in learning crafty things and had attempted quite a few My crafty family members were doing some sort of needle art; cross-stitch, crochet, knitting or bargello. More than one tried to teach me but being a lefty in a right-handed world the instruction didn’t make any sense and I would soon give up. My attempts at garment construction and other sewing related projects in Junior & Senior High Home Economics classes always left me frustrated. Nothing ever turned out. Back to the quilt class…it’s safe to say I had no idea what was going on in class but something about it intrigued me and for the 1st time a crafty thing wasn’t giving me a sense of defeat but rather a deep desire to figure it out. That night I purchased fabric, a template set and a few other necessary tools and headed home bound and determined. 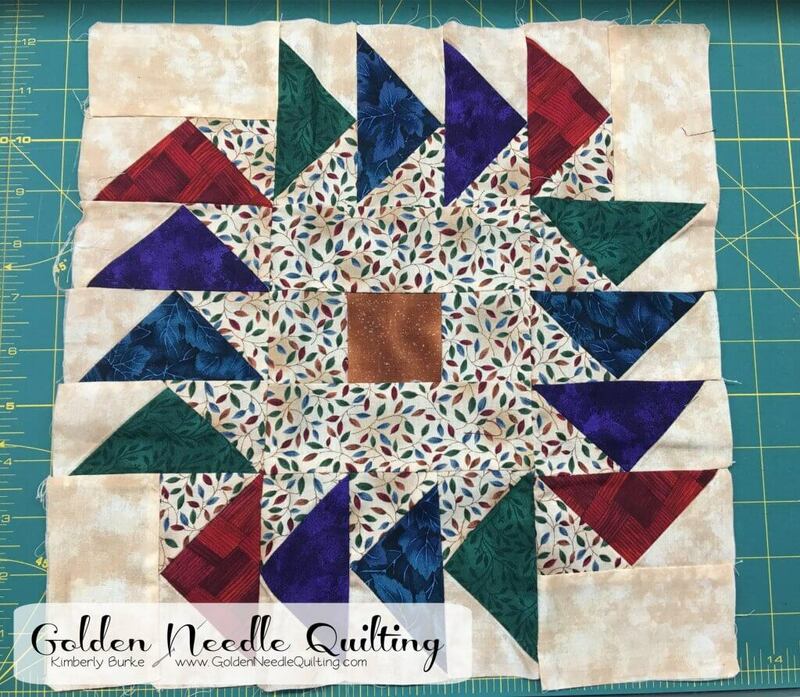 I walked in the door that night excited about quilting, asking my hubby to help me find the old White sewing machine that had been abandoned in the garage. I’m sure my husband was thinking “Here we go again. It’ll never last.” In all fairness, I had a track record for trying things and quitting out of frustration or boredom. I finished that 1st quilt block on time. It took me the entire month to do but I had it done and on time. I finished the next block on time. Quilting was consuming every free moment I could fine. I was checking out library books and searching for every bit of information I could find on the subject. 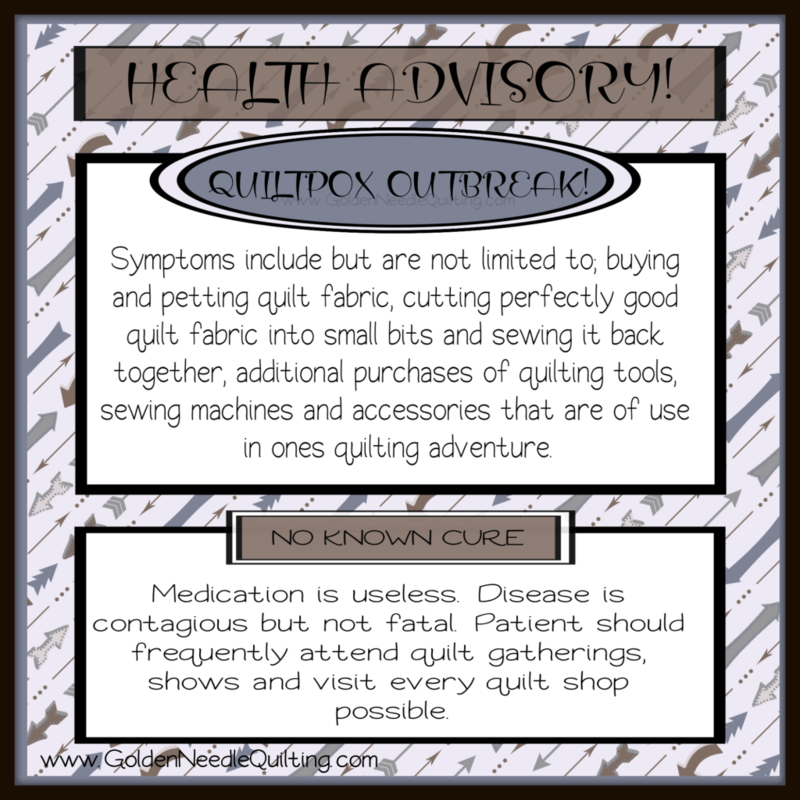 I had a severe case of Quiltpox! The quilting bug had bitten me, and I was cautiously optimistic that this just might be something I could do. But, while those 1st classes were fun they were also a little overwhelming. I knew I had to figure out how to get my blocks to look as nice and tidy as the other students blocks and amazingly that didn’t deter me. I needed to find a beginning quilt class to get the basics down. I was a woman on a mission. I signed up for a series of beginning quilt classes that were to start in a few weeks with another teacher at the store. Log Cabin quilt would be my 1st complete quilt. I quilt because I can and I’m pretty good at it too. It brings me joy. Quilting has literally soothed my soul through good times and bad since 1997. 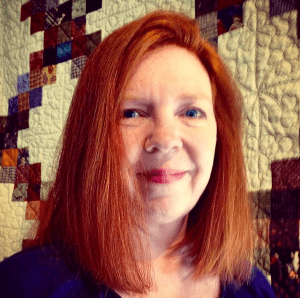 I may never be a big-name quilter, and that’s perfectly ok because I quilt for me. Do you have something that brings you joy like quilting brings me? What is it? I’d love to know.